There's a very good chance that you'll find a hat here that you've never owned before. 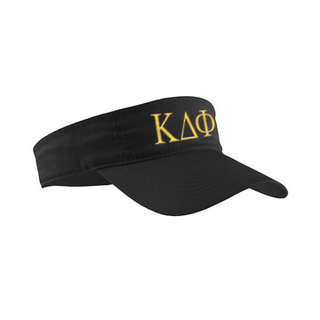 Our Kappa Delta Phi Hats and Visors are attractive, sporty and unique. Bad hair day? No one will care what's going on under your hat when you wear the Flatbill Snapback to school. 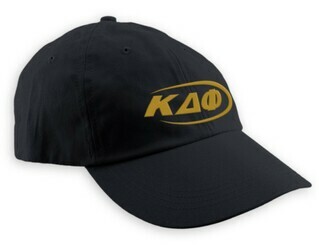 The one you see pictured is just an example of what your hat could look like -- black with gold embroidered letters. You can also get a gold hat with black embroidered letters in a funky font (see the product page for all your options). Our customers like having access to new baseball caps that are brand new but are ready to wear and break in, like the Tail Hat. The brim is already a bit curved so you don't have to waste much time stretching it to fit your style. 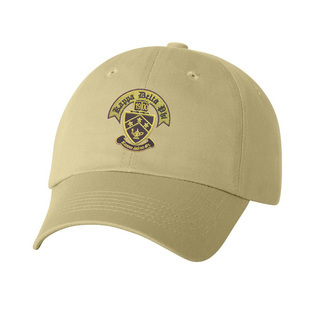 Pick the hat color, thread color and group information on the product page (an option is available for National Affiliated Sorority members). 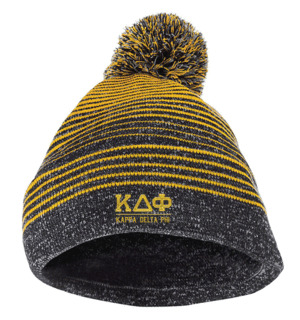 Order one for each member of your chapter at a discounted bulk rate. 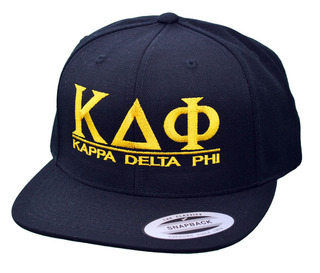 The best part about wearing Kappa Delta Phi Hats and Visors is that your letters and symbols appear front and center. It's a great way to get the word out about your fraternity to potential new members! 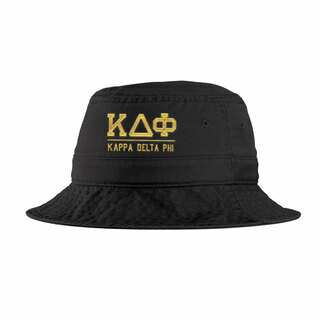 Kappa Delta Phi Hats & VisorsThe Greatest Selection. Period.